Welcome to April! There is a lot going on around in our community and nationally, too! 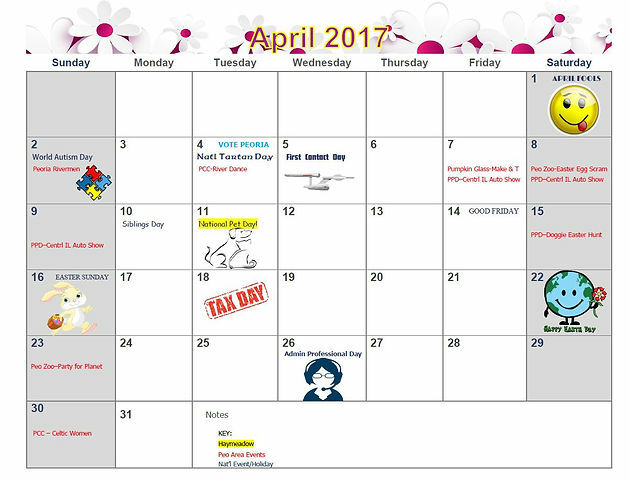 Thankfully, you have a way to keep track of it all - your Haymeadow Events Calendar! So now you will now when National Pet Day is (details on that to follow), when Administrative Professionals Day is, even Tax Day and Earth Day too!